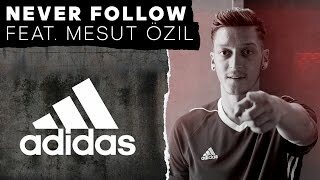 2017 has seen an influx of amazing football boots and up their with the best is the adidas ACE collection. Design for the technical player who uses skill and creativity to dominate the game, the ACE’s popularity is exploding. The ACE collection have options for elite players through to entry level players and even have a boot tailored for women. The top tier models ACE Primeknit and ACE PureControl have a knitted Primeknit upper which helps improve a players touch whilst offering a great fit and comfort. Introducing the adidas ACE and X boot collection saw the end of the popular F50 Adizero and 11Pro collections. These new options were designed to cater for specific types of players. All created to help you dominate the field of play. The top tier boot and most marketed in the ACE collection is the ACE 17+ PureControl. The laceless boot has been updated from the 16+ PureControl and will help improve your performance on the pitch. An improved upper and adding Boost technology to the soleplate have made this boot even better than previous editions. 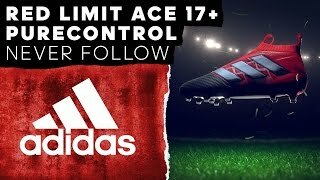 Check out the full range of ACE 17+ PureControl’s here. If you are into the more traditional option of laced football boots, then the 17.1 Primeknit is a great option for you. Taking inspiration from the popular ACE+ Primeknit 15.1 and Primenkit 16, this boot has all the technology you’d expect from Europe’s biggest sports brand. A new improve collar, lacing system and Primeknit upper, have improved the fit and comfort, making this a definite option for any player wanted to step up their performance. adidas haven’t included the Boost soleplate like the ACE 17+ Purecontrol, however, the pricing and technology make this boot a worthy choice for any player. One of the best budget boots on the market is the new adidas ACE 17.2 PrimeMesh. The PrimeMesh collar provides a great touch on the ball and comfort from the off, however, this material is inferior to the PrimeKnit of the top tier ACE options. The front of the boot has a textured effect which helps with control. If you are a fan of the high collar boot but don’t want to pay the premium price, then the ACE 17.2 PrimeMesh is a great option to consider. The bottom tier of the ACE 17 collection is the 17.3 PrimeMesh, which allows players on a budget the option to try the popular ACE collar. This boot is a cheaper alternative to the 17.2, with a less comfortable upper and not as good touch on the ball. However, it is very stylish entry level option for any players starting out. But, the comfort and performance aren’t anywhere near the more top end ACE football boots. 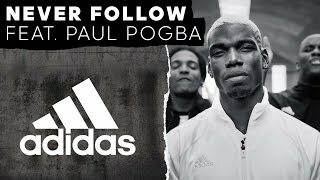 whats next from the German brand. If you’re not a fan of the new ACE 17 collection or looking to grab a bargain why not check out the adidas ACE 16.1, 16.2 and 16.3.